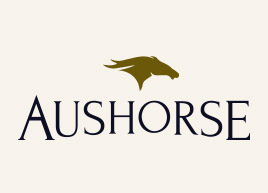 The Australian thoroughbred breeding industry operates throughout the length and breadth of the continent with most of the larger commercial stud farms situated in the Hunter Valley of NSW and in Victoria. 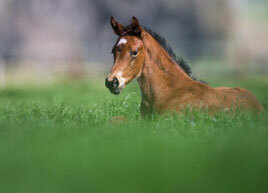 More than 20,000 matings occur throughout Australia each season, resulting in some 14,000 foals, the second biggest crop of any racing country in the world. In their turn, those foals go on to make up the new racing stock with around 7,000 two-year-olds registered to race each season. Before they get to that point, however, many of them are sold. 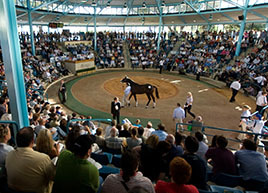 Some will go through the auction rings at between six and 12 months of age as weanlings, others as yearlings between the ages of 14 and 22 months. 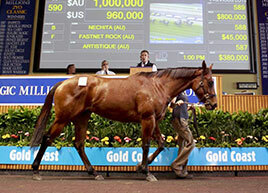 Australia's two sales companies, Magic Millions and William Inglis & Sons, conduct the biggest bloodstock auctions. 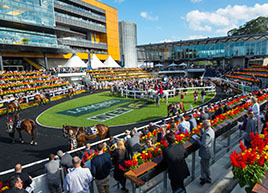 The Gold Coast-based Magic Millions company holds its major yearling sale in January in conjunction with a race meeting restricted to horses sold at its various sales. 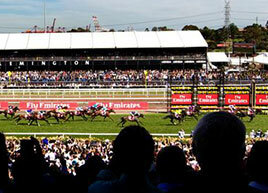 From 2016 this will be the richest one-day of racing in Australia. 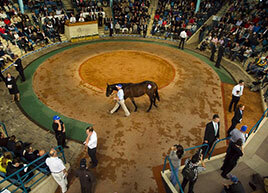 The flagship sale conducted by William Inglis and Sons is held in Sydney each Easter coinciding with The Championships racemeeting. Historically this sale has attracted a significant number of international buyers. Almost 700 stallions stand at stud in Australia, and they have a potential 23,000 broodmares whose owners pay as much as $285,000, as they did in 2014 for a service from the leading stallion Fastnet Rock. 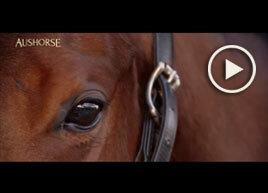 Proven, stallions may cover in excess of 200 mares during the three month breeding season that begins in September. Among the best-patronised sires in Australia are Snitzel who covered 226 mares in the 2013-14 breeding season and Sebring who served 223. 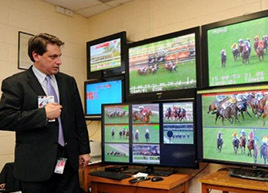 Each state’s racing administration supports in its own breeding industry by offering prizemoney bonuses for horses who race in the state in which they were bred. 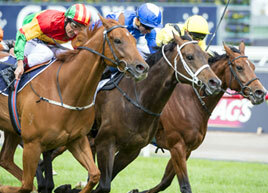 Such bonus schemes add millions of dollars to the already lucrative prizemoney pools. 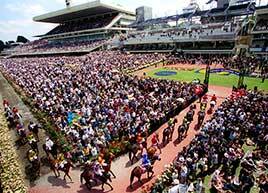 Some 70,000 individuals owned a racehorse which raced in Australia during the 2013-14 season. 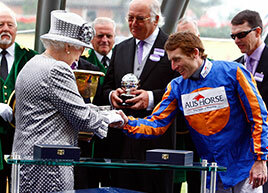 But the rewards they received don’t necessarily end with their horse’s racing career. There is also residual value in a horses hose performance and gender allow them to breed. As well as a strong trade in racehorses to be exported to Asia, for many fillies and mares and a few prized colts there is a second career in the breeding shed. The stallion market in Australia is very lucrative, with first season sires here typically commanding higher fees than freshman stallions in Europe or Kentucky. 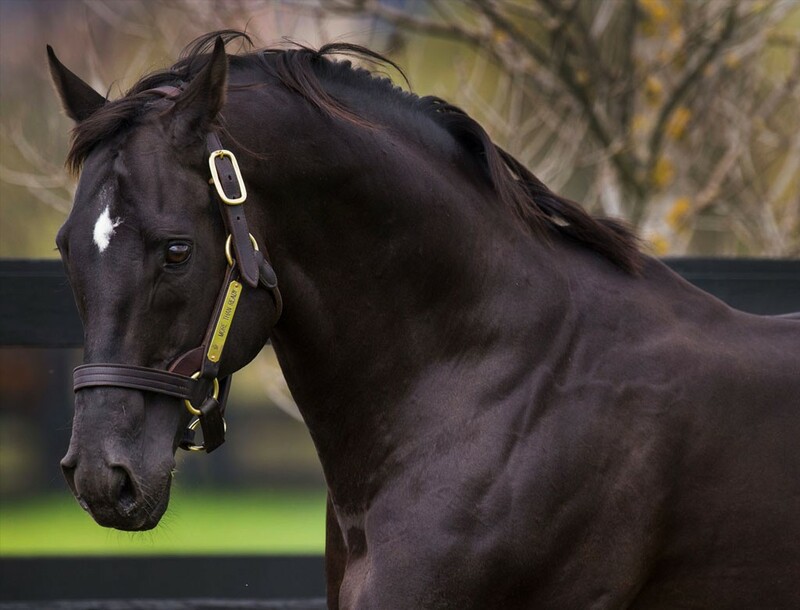 As a result, the value of top male performers on retirement from the racetrack can be significant as the owners of top sprinter Brazen Beau discovered. 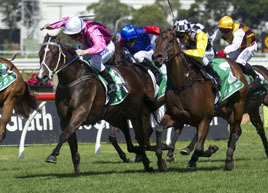 A syndicate of 38 owners paid $70,000 between them for Brazen Beau who won them some $1.6 million on the racetrack. 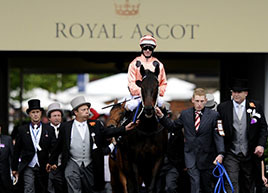 The horse’s performance and pedigree attracted wide interest from the world’s biggest breeders and he was duly purchased by the Darley operation of Sheikh Mohammed bin Rashid al Maktoum of Dubai for more than $12 million. The industry which is now one of the biggest and strongest of its kind in the world started with a stallion, three mares and three yearlings which arrived with the first European settlers in 1788. It has since grown to produce a thoroughbred horse population second only in size to that of the United States. The first thoroughbred sire to be imported to Australia was Rockingham in 1799 and by 1880 a further 400 stallions had been shipped to the Australian colonies. 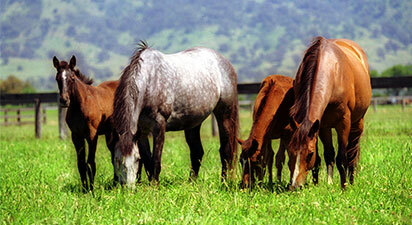 The Australian breeding industry is predominately located in the states of Queensland, New South Wales and Victoria, which between them produce around 85 per cent of the foal crop. 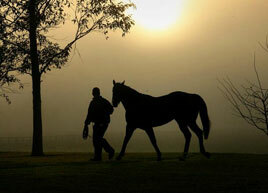 As strong as the industry is nationally, it is the Hunter Valley farms that are at its centre. 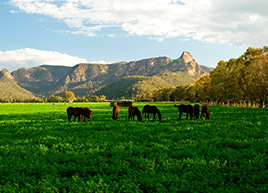 The farms of the region produce almost half the thoroughbreds born in Australia each year and the Hunter is home to the world’s second largest of thoroughbred studs behind the US state of Kentucky. 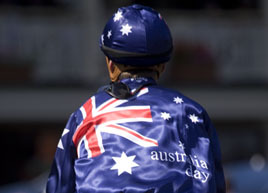 Australia now has a mature, world-class breeding industry which exports horses to most racing nations in the world, particularly those in South-East Asia where about half the horses in training were bred Down Under. 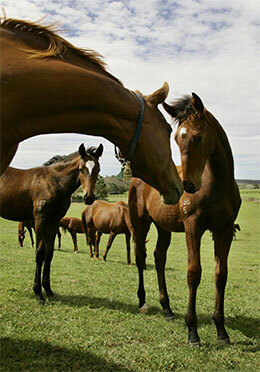 For the first 150 years of European settlement the Australian thoroughbred population was dominated by English bloodlines. 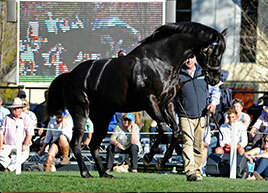 Such stallions as Musket, the sire of Carbine, Lochiel, Valais and Delville Wood are prolific in the pedigrees of the first half of the 20th century. But it was the Irish-bred Star Kingdom who arrived in 1951 who did more than any other horse to shape the local breed. Star Kingdom, who raced as Star King in England, proved a perfect match for the local appetite for horses with speed ahead of stamina. A winner of nine races during his career in the United Kingdom, Star Kingdom was purchased by the Australian breeders Alf Ellison, Reg Moses and Stanley Wootton for 4000 pounds. 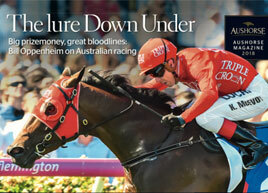 Star Kingdom didn't make an immediate impact as a stallion at Barramul Stud, but his influence proved to be pervasive. 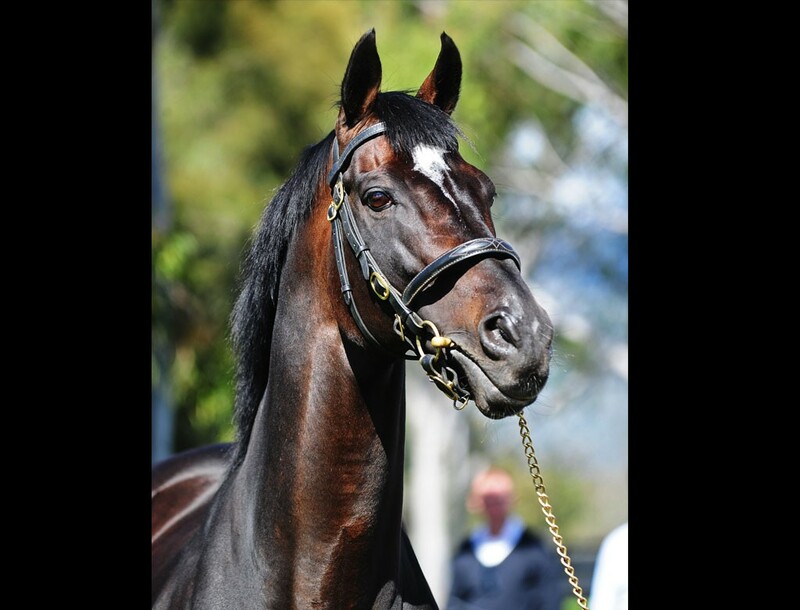 He sired the first five winners of the Golden Slipper - Todman, Skyline, Fine And Dandy, Sky High and Magic Night. They made him the most sought after stallion in the land. 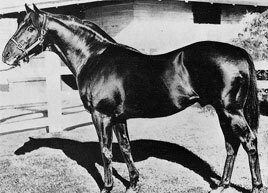 He was eventually crowned Australia's leading sire five times, from 1959-1962 and won the title for the last time in 1965. He died at Barramul at the age of 21 in 1967 after 16 straight years at stud. But his influence in the pedigrees of Australian racehorses was cemented forever as his sons and grandsons carved out careers at stud. Among his most successful sons was Biscay who in turn produced the outstanding sire Bletchingly who was bed by Stanley Wootton who been part of the syndicate that imported Star Kingdom. 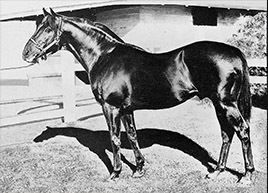 Such influential stallions as Oncidium, Better Boy and Showdown feature in the pedigrees of the 1960s and ‘70s, as does Sir Tristram who stood in New Zealand. But most of them were eclipsed by the arrival of a horse who is arguably one the greatest thoroughbred stallion the world has known. Danehill, an American-bred son of Danzig who was raced in England by his breeder Prince Khalid Abdullah. 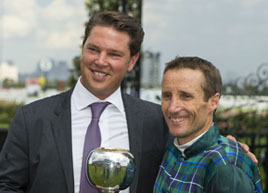 A guineas aspirant as a three-year-old, Danehill earned his greatest racing credits as a sprinter, winning two feature stakes races in his nine-start career. Danehill was sold to a partnership of Coolmore Stud in Ireland and Australian breeder John Messara from Arrowfield Stud, arriving in Australia in 1990. 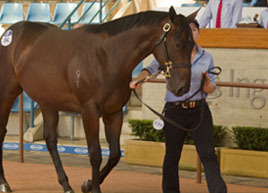 From the time his first crop of foals hit the track, he was a raging success. 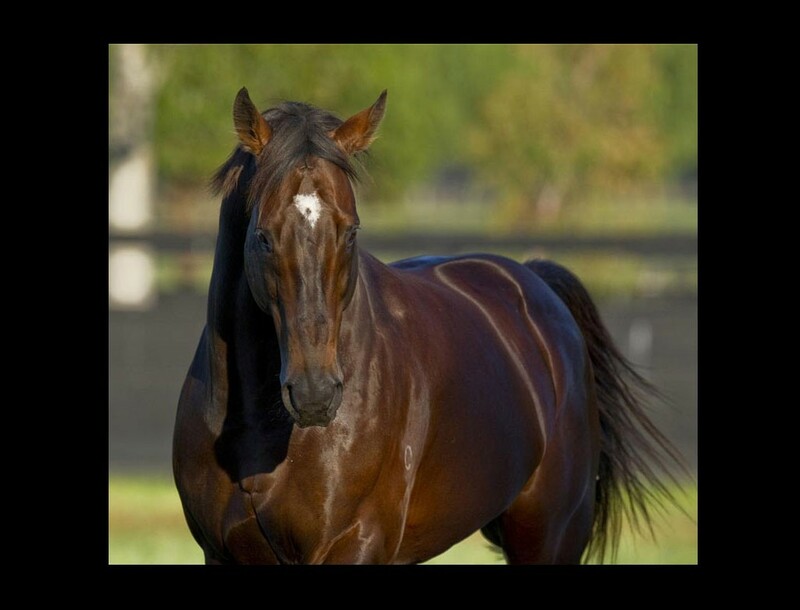 Danehill was the champion sire of Australia for nine of the 11 years between 1995-2005, he was also a three-time leading sire in Great Britain and Ireland and twice achieved the top honour in France. 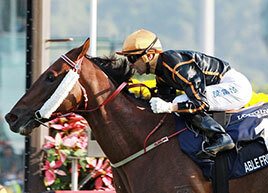 Such was his popularity that he also served a season at stud in Japan in 1996. 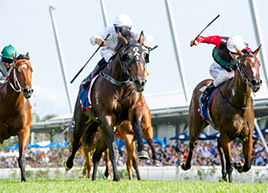 Boasting a winners-to-runners ratio of almost 77 per cent, Danehill's statistics at stud told the story: 89 group or grade one winners, 349 stakes winners in total, progeny with worldwide earnings of more than $375 million. 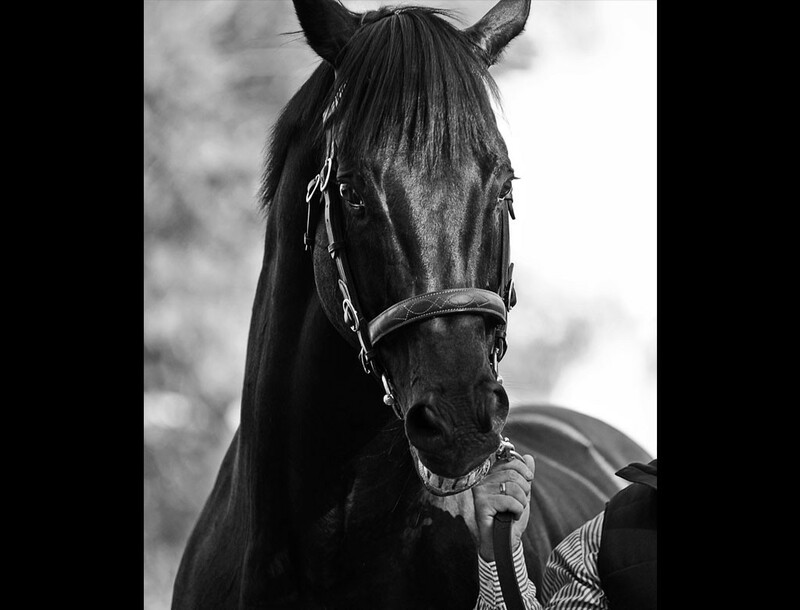 And he can lay credit to leaving more than 100 sons who have become successful stallions themselves: Fastnet Rock, Redoute's Choice, Exceed And Excel and Flying Spur, all of them champion sires in their own right, are sons of Danehill. 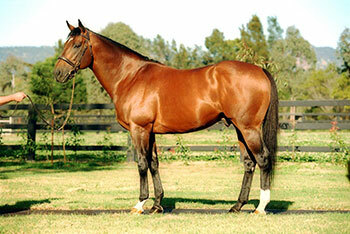 Danehill died in a paddock accident at Coolmore Stud in Ireland at the age of 17 in May 2003.